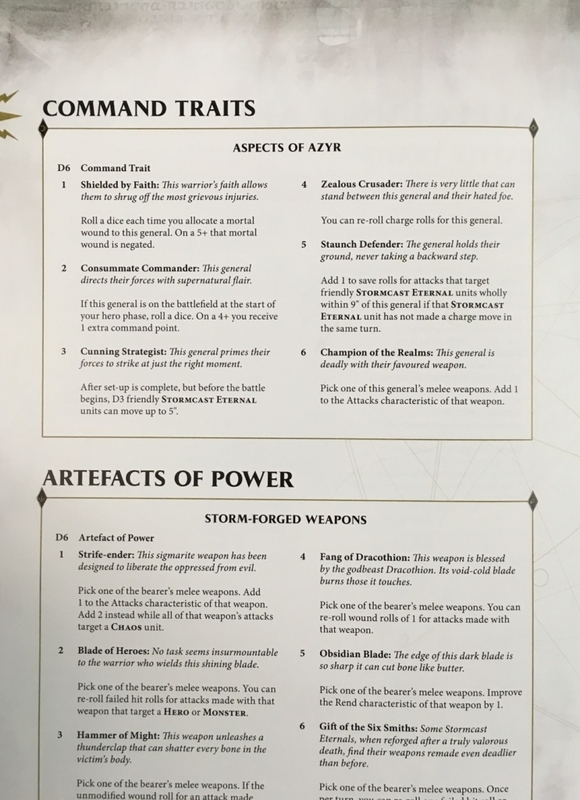 The Sacrosanct Chambers have been opened up in the new Battletome: Stormcast Eternals. There are a lot more knightly wizards and wizard knights out there, so come take a look at what awaits you in the Battletome. The Sacrosanct Chambers have been cast opened, and the mystics & mages, Incantors & Evocators, and celestial artificers that man the anvils of apotheosis and oversee Sigmar’s soul reforging process have left their posts to surge out into the world wielding arcane power that makes them among the mightiest of Sigmar’s hosts. But their mission means the Stormcasts are having a time of it. We’ve got a couple of sneak peeks for you. 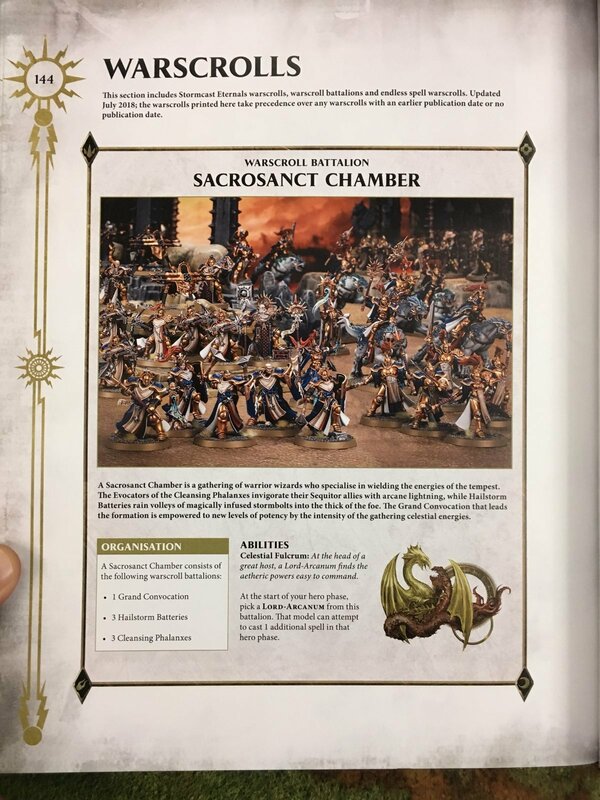 As you can see Sacrosanct Chambers are where all the wizards live–although a good comparison might also be clerics or paladins, for those of you who know their way around a d20. 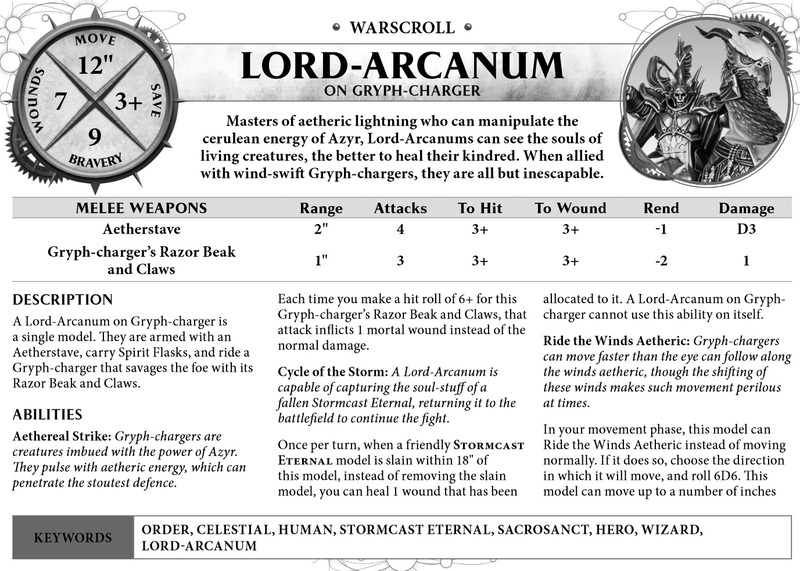 They can fight with the best of them, and when you take them as a Warscroll, which involves a few other Warscrolls, you gain an extra spell for your Lord-Arcanum. And having seen the spells in the new Stormcast Lore, you’ll definitely get some bang out of that buck. Er. Points. 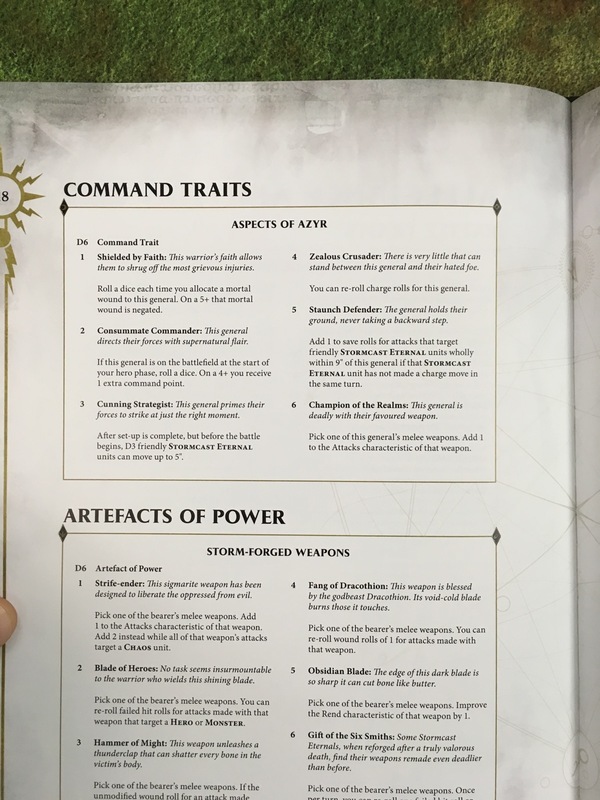 But it’s not just new spells that you’ll find in the Battletome. There’s all kinds of goodies out there for everone’s favorite blue and gold lightningfriends. These are just some of the artifacts available to you. You might recognize some of these weapons from their earlier arsenal, but, especially where Command Traits can enhance some of the new units, you’ll find a ton of sweet synergy. The new Lord-Arcanum in particular with his aetherstave wants more attacks. And there are new staves and scrolls and all manner of specialized mount traits to reflect the new mounts (the Tauralon and Dracoline). 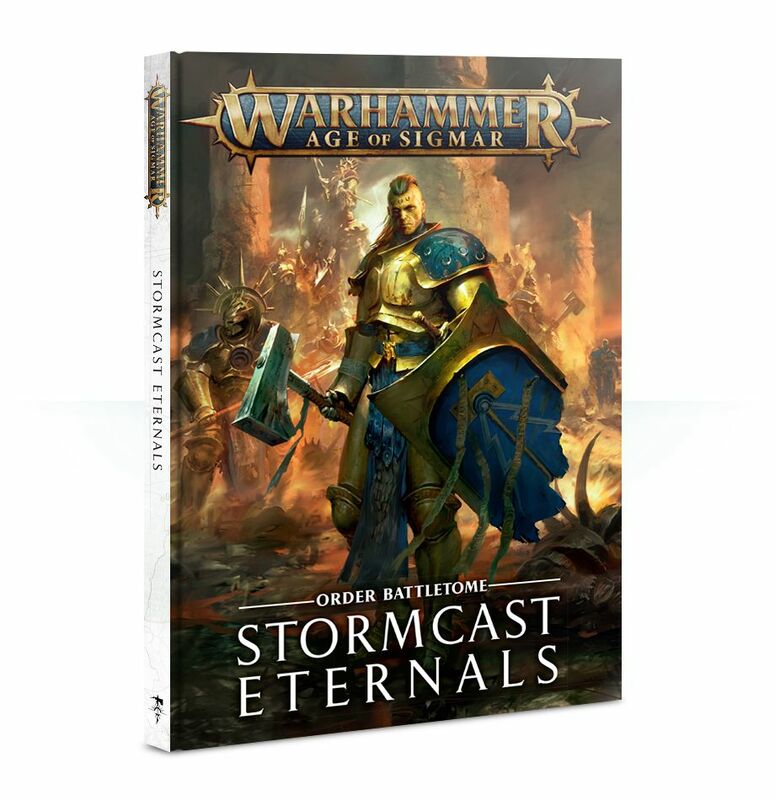 So whether you’re putting together a Stormcast Eternal army and want to round it out, or just field an army of new stuff (say taking what you can find in Soul Wars), you’ll get a great start with this Battletome. It does a great job of setting a template for what modern Battletomes will look like. Still not sure if there’s enough lightning though.